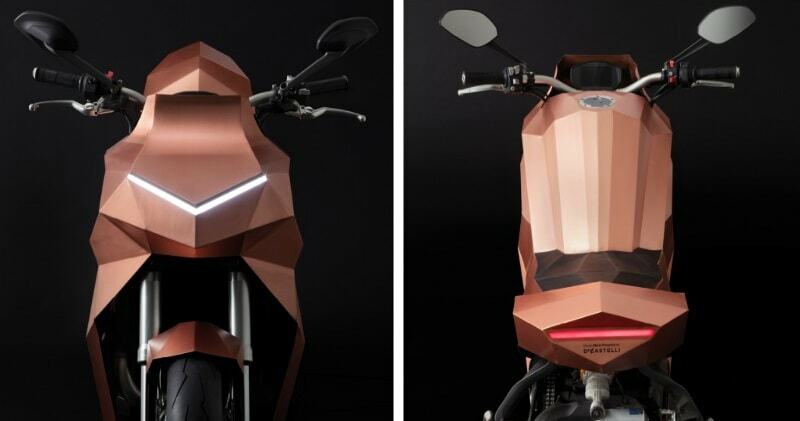 Mario Trimarchi has designed the first motorcycle with copper bodywork for De Castelli. Putting typical aerodynamic curves aside, the fairing (shell) that conceals the inner engineering is like a visual interpretation of speed. Over time, with the natural oxidation of the copper, the object is aligned with the pace of the city, experienced in an eternally contemporary condition. ‘For some time now I have been working on how to design speed I have combined this obsession with a fixation on the passage of time, which I think is one of the major themes of our relationship with objects. 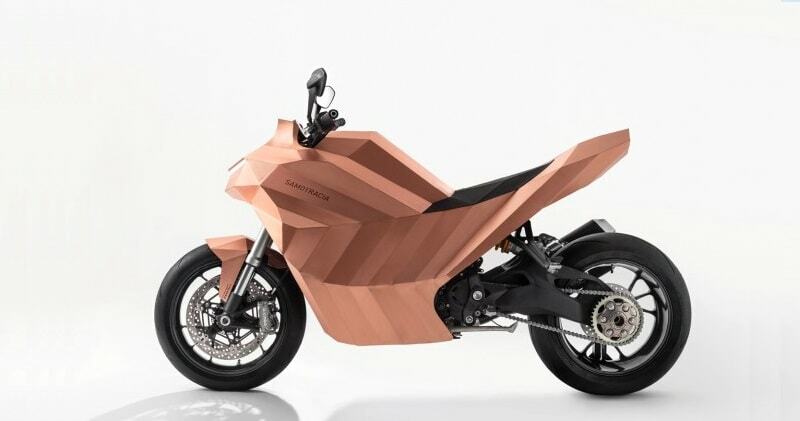 The result is a motorcycle that seems to move on its own, as if it were the result of a sequence of photo frames, somewhat Cubist, in a way, but also seductive and coppery, like the skin of a beautiful woman’ Mario Trimarchi.